The long-awaited GIMP 2.10.2 is finally here! Discover how to install it on Fedora or Ubuntu Linux distribution. GIMP 2.10.0 was a huge release, which contains the result of 6 long years of work (GIMP 2.8 was released almost exactly 6 years ago!) by a small but dedicated core of contributors. 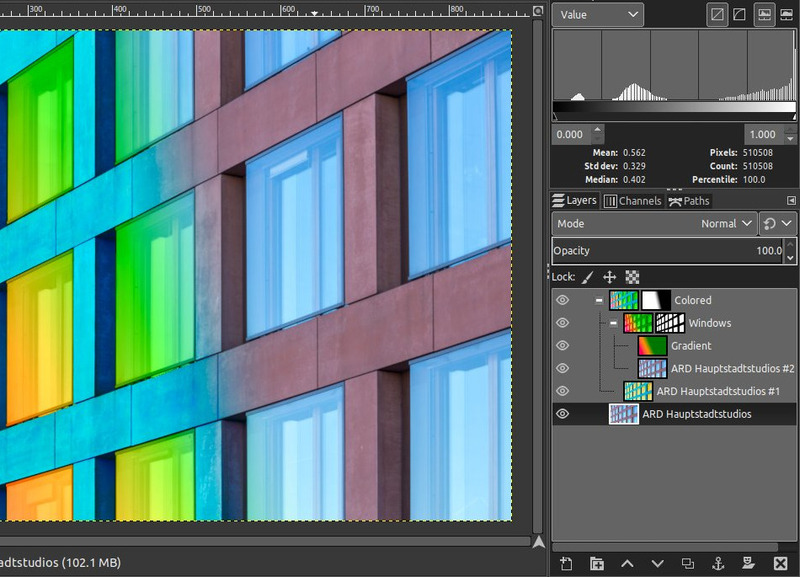 GIMP 2.10.2 is out with 44 bugfixes and some new features such as HEIF file format support. Windows installer and a flatpak for Linux are available, Mac OS X version is coming in near future. So, Let’s see how to install GIMP on Fedora or Ubuntu. GIMP, the GNU Image Manipulation Program, is a cross-platform image editor available for GNU/Linux, OS X, Windows and more operating systems. It is free software, you can change its source code and distribute your changes. Image processing nearly fully ported to GEGL, allowing high bit depth processing, multi-threaded and hardware accelerated pixel processing and more. Many improved tools, and several new and exciting tools, such as the Warp transform, the Unified transform, and the Handle transform tools. It’s barely been a month since the dev team released GIMP 2.10.0, and the first bugfix version 2.10.2 is already there. Its main purpose is fixing the various bugs and issues which were to be expected after the 2.10.0 release. For a complete list of changes please see Overview of Changes from GIMP 2.10.0 to GIMP 2.10.2.
Notable changes are the added support for HEIF image format and new filters. This release brings HEIF image support, both for loading and export. Two new filters have been added, based off GEGL operations: Spherize filter to wrap an image around a spherical cap, based on the gegl:spherize operation, and Recursive Transform filter to create a Droste effect, based on the gegl:recursive-transform operation. GIMP 2.10.2 is available for all Linux distributions in various packages, through Flatpak packaging system, for Windows, and for Mac OS X. We’re going to look on how to install GIMP on Fedora or Ubuntu. just click here to install via Flatpak or go to official download page. in this case, ensure Flatpak system is installed. The new version of GIMP ships with far more new features, including new and improved tools, better file formats support, various usability improvements, revamped color management support, a plethora of improvements targeted at digital painters and photographers, metadata editing, and much, much more. So after discovered how to install GIMP on Fedora or Ubuntu, enjoy your GIMP!